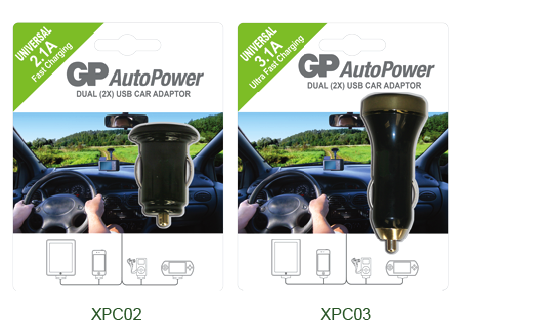 The car adaptor model GPXPC02 and GPXPC03 are small and easily charging via USB ports in car. The dual USB car adaptor with two USB ports, which can charge two electronic devices simultaneously in car. It allows users to charge a board range of mobile USB enabled electronic devices such as MP3 players, mobile phones, smart phones and gaming devices. Step 1: plug the USB car adaptor into 12V cigarette lighter jack in your car.